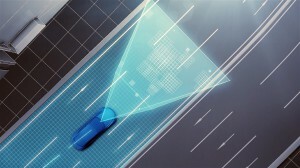 The new technology, which Toyota says will be available in vehicles in 2020, will provide accurate measurements to within two inches. The maker plans to debut the new system at CES 2016 in Las Vegas next month. The Japanese maker’s system pairs cameras and GPS data to map roads to provide the most up-to-date information. Currently efforts rely on three-dimensional laser scanners to do the mapping. The process is incredibly accurate, but takes a lot of time so updating the maps will be infrequent, which could cause problems. By using the camera-based system in many more vehicles, Toyota can get regular mapping updates to keep the system current. It will triangulate the data it receives from vehicles to improve the accuracy of the maps. Bosch and TomTom are partnering to produce the highly detail maps needed for autonomous driving. While initial use of the system is expected to be limited to expressways, future development goals include expanding functionality to cover ordinary roads and assist in hazard avoidance. Toyota will also seek to collaborate with mapmakers, with the goal of encouraging the use of high precision map data in services offered by both the public and private sectors. The mapping technology is part of Toyota’s larger autonomous vehicle program, the Mobility Teammate Concept, introduced in October. The idea behind it is to bring self-driving vehicles to the market without losing the enjoyment and fun often associated with driving. Toyota will continue to develop of technologies that aid the spread of automated driving technologies, with the aim of realizing a society where mobility is synonymous with safety, efficiency, and freedom. The move comes at a time when the competition to be seen as at the vanguard of autonomous technology is becoming heated. General Motors, Ford, Nissan and a spate of other makers have all issued pronouncements that they’ll be introducing self-driving vehicles in coming years. Even the business of mapping the world’s roadways is beginning to heat up. BMW, Audi and Mercedes-Benz have formed an unusual alliance that could give them a leg up when autonomous vehicles start to roll into showrooms in the coming decade. Auto suppliers are jumping into the fray as well on the mapping front. 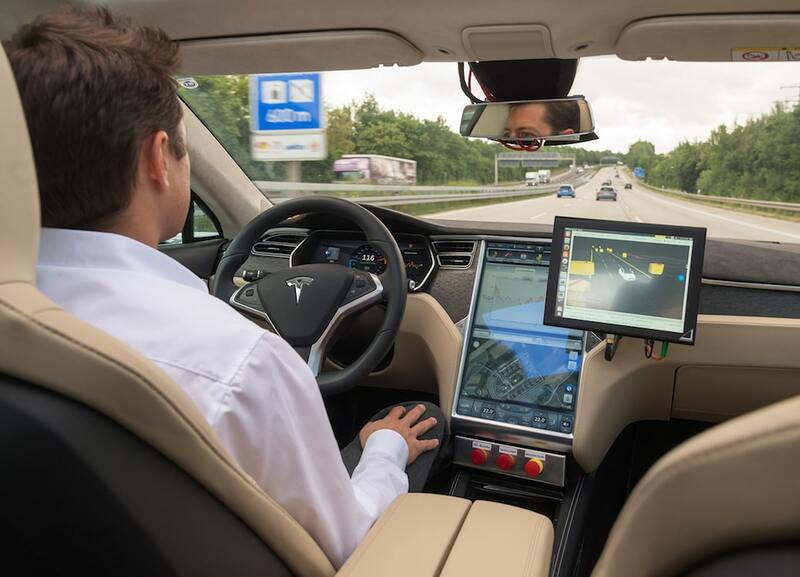 Bosch and GPS-maker TomTom are pairing up to produce the highly detailed maps for autonomous or semi-autonomous. The companies are using a layered mapping system that is correct to the nearest decimeter. The traditional base navigation layer is used to calculate routes from A to B, including the sequence of roads to be driven. The localization layer uses a novel-positioning concept providing highly accurate map data, which the automated vehicle uses to accurately calculate its position within a lane. This entry was posted on Wednesday, December 30th, 2015 at and is filed under Automobiles. You can follow any responses to this entry through the RSS 2.0 feed. Both comments and pings are currently closed. The bottom line is that no one wants to be caught out of AVs. Unfortunately this means we are seeing a rush-to-market mentality on AVs that is certain to get innocent people killed because the Feds have failed to issue mandates on AV design, manufacture, operation and maintenance. The typical reactive approach after people die is how the Feds operate. No AVs should be allowed on the roadways until they can prove their ability to deal with all issues including mechanical failures, electronic interference and hacking, etc. Without any controls in an AV for passengers to take control of the vehicle, these vehicles need to be 100% proper in design and operation. People’s lives depend on it. Hyping AVs and the rush-to-market mentality for personal profit as some folks here have done is disgusting. It just illustrates what unscrupulous people will do when money is involved and precisely why the Feds have an obligation to mandate proper safety and operation of AVs.